Personally, I truly believe that everybody I know should come to this show: It’s only a few minutes away from my house! 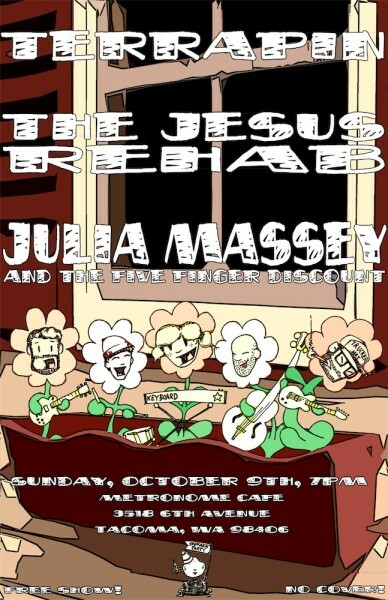 Sunday, October 9th @ 7:00 PM Metronome Coffee The corner of Union & 6th Ave in Tacoma FREE! NO COVER! GRATUIT! БЕСПЛАТНО! 免费! 無料!